The annual Opera Barga Festival is returning this July to bring to life some of the most enchanting music from the baroque period and operas from the modern age. This musical program pairing parallels the festival’s showcasing of talented young musicians trained this summer in the festival’s own school of music to deliver with exquisite accuracy the pieces of classical compositional masters such as Vivaldi, W.A. Mozart, and P.I. Tchaikovsky. This year’s 51st Opera Barga festival will be held from July 27 – August 5 in Barga, in the hills above Lucca. Its scenic landscapes framed by medieval walls recounts a long tale of historical fervor whilst remaining peaceful as the setting and home of Opera Barga. The festival is held in various locations to provide the best acoustics and ambiance for the pieces performed. Opening day (July 27, 9:30 pm) will be held at Barga’s Cathedral, a church that features decorative elements from the Romanesque to Gothic periods; these features augment the festival’s timeless ambience. According to the tradition, the inauguration will feature a work composed by Antonio Vivaldi. This year’s selection is “In Furore Iustissimae Irae“ by Vivaldi is poised, lively, and rhythmic. The strings of Ensemble Modo Antiquo conducted by Frederico Maria Sardelli reverberate along the church’s columns whilst the soprano voice, Nicki Kennedy, will resound up to the high ceiling of the church. The performance is scheduled to conclude around 11 pm with “Laudate pueri“ by Vivaldi performed by the same ensemble. Day two of Opera Barga (July 28) will be held in the Teatro dei Differenti just a two minute walk away from Cathedral. The theater is small and oval shaped with a style that is typically Italian. The walls of the theater are covered by red curtains and adorned by gold details. The concert will begin with a string quartet playing Franz Schubert. Composers Sergei Prokofiev and Leos Janáček provide a heftier sound that is the transition to the finale, a later Schubert composition. Opera Barga’s closing performance conducted by Ricardo Doni (August 5) features songs similar to those of the opening concert, with a program dedicated to Giovanni Bassano, Dario Castello, with a finale symphony written by Antonio Vivaldi. The Teatro dei Differenti also hosts other concerts during the festival: “Love and theological verses by the Most Notable Lady Zerina Samietz of Sibenik“ a modern opera performance on July 29 featured renowned Baroque soprano Deborah York, and PianoBarga performances which are a series of music pieces accompanied by piano. 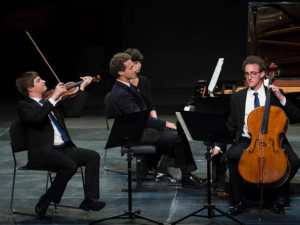 This year’s Opera Barga Festival’s PianoBarga, in collaboration with Roberto Prossed, is centered on the German composer Mendelssohn. In addition to the Teatro dei Differenti, Pianobarga will take place at the Teatro dei Differenti starting at 9:30 pm between July 30 – August 4. The Opera Barga festival also provides a complete Baroque program: July 31 and August 4 at the restaurant Volta dei Menchi, and August at the Basilica della Santissima Annunziata, all starting at 4:30 pm. All baroque concerts will include music played on the harpsichord—an instrument popular during that period. The Piazza Angelio will host AudioBarga, a modern take of classical music, a guitar solo performance by Luigi Attademo followed by a short film by Stefano Missio (August 1). The last AudioBarga festival event will be August 2 at 4:30 pm., showcasing the talent of young musician Francesco Olivero. 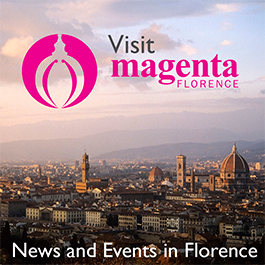 If one is planning to stay over to enjoy multiple performance offered by the festival experience there are several lodging options from hotels in Barga to hotels in the neighboring towns of Castelnuovo Garfagnana and Bagni di Lucca which are both 16 km (10 miles) from Barga. Another option is to plan a stay in one of the cozy farmhouses outside Barga.